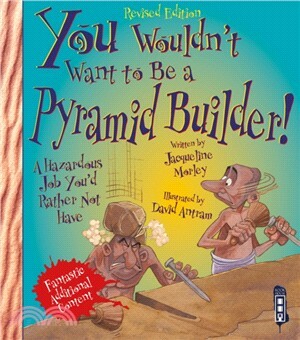 You Wouldn't Want To Be An Egyptian Pyramid Builder! The humorous cartoon-style illustrations and the narrative approach encourage readers to get emotionally involved with the characters, aiding the understanding of everyday life and religion in Ancient Egypt and the building techniques used for such monumental structures. Informative captions, a comprehensive glossary and an index make this title an ideal and fun introduction to the conventions of non-fiction texts.